(Gulf News) -Berbera (Somaliland): “Had you come a day earlier, you’d have seen us loading camels onto ships heading to the Middle East. Somalia as a whole has the world’s largest number of camels, at six million,” said Ali Esmail Mahmoud, Head of Operations at DP World Berbera, as he took visiting journalists on a tour of the port. He also said the port was using a new software, Sodiaz, which is also used in many other DP World ports. In 2016, the Somaliland parliament voted in favour of granting DP World, the world’s fourth biggest port operator, a 30-year concession with an automatic 10-year extension for the management and development of the port at Berbera, in a move not recognised by the Federal Republic of Somalia. As per the deal, DP World will invest $442 million (Dh1.62 billion) in the port, controlling a 51 per cent stake in the project while the Somaliland government will control 30 per cent. As part of another deal announced last month, Ethiopia will become a 19 per cent stake holder in the port. That deal was also bitterly opposed by the Somali government in Mogadishu. Speaking to journalists, Somaliland’s Foreign Minister Dr Sa’ad Ali Shire said no one had the authority to interfere in a deal between Somaliland and DP World. 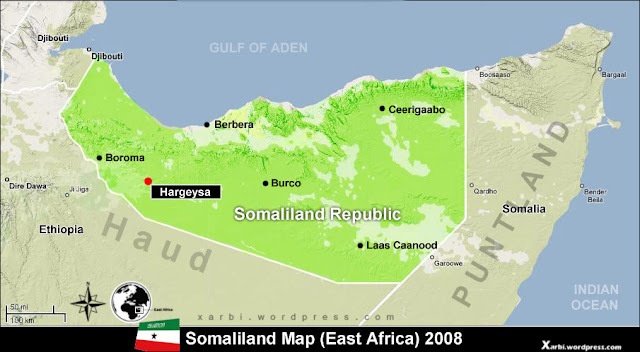 Somaliland is a self-declared independent republic that is not recognised by the international community but has all the trappings of a state, including its own parliament, judiciary, currency and armed forces. It also holds elections that are seen as being free and fair, and issues its own passports. The government of the region sees Somaliland as the successor state to the colonial-era British Protectorate of Somaliland. Somaliland is also far more politically and economically stable than Somalia. The port’s annual capacity is 150,000 TEUs-twenty-foot equivalent units (container); 15 million MT (general cargo, bulk, ad break bulk); and 4 millon heads (livestock). DP World Berbera also provides assistance to the tune of $4800 a month to the nearby Berbera Maritime and Fisheries Academy, which was established in 2012 and has graduated 85 students, including 12 women. The port has also donated $770,181 in the past 12 months to educational institutions, mosques and hospitals in the region and built five water wells for the community.